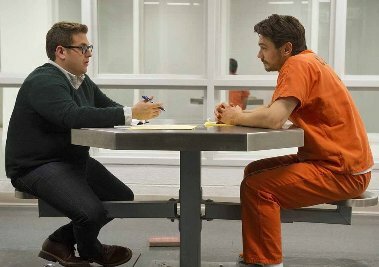 There are vague and haunting similarities between Truman Capote's non-fiction novel In Cold Blood that was subsequently adapted into the 1967 same-titled film and Rupert Goold's just released picture True Story, starring James Franco and Jonah Hill. Both movies are creepy and dark-as-night, fact-based stories about the murder of a family: in 1959, the Clutters of Kansas and in 2001, the Longos of Oregon. True Story: Murder, Memoir; Mea Culpa is the creation of Michael Finkel, a former New York Times reporter. The screenplay is written by Goold and David Kajganich. The connection between the leading characters, Finkel and Christian Longo, is different than that of the Clutter assailants, Richard Hickock and Perry Smith. You might say that Finkel is more like “Truman Capote” of the earlier piece and Longo is both Hickock and Smith --- rolled into one very complicated fellow. After publishing an article in The New York Times that Finkel believed would be helpful to abused workers on a West Africa plantation, the journalist was dis-employed by the Times for reportage that, ultimately, was not fit to print. Finkel's name quickly became bad news for journalism. Following on that, Christian Longo went on the lam out of Oregon to Mexico using Finkel's name and bearing false witness that he was a reporter for the Times. Longo's wife and three young children were found dead. They were discovered in a bay along Oregon's Pacific coast. Longo had never met Finkel but he'd read him --- lots. Finkel seeks out Longo in a county jail cell back in Oregon and agrees to tell Longo's side of the story. Watching the film, it seemed obvious to me that Longo did kill his family, as Franco plays him as highly suspect, and enough to make me wonder why Finkel would tackle such a story. (I knew nothing of the actual event going into the screening.) The script is written to confuse the audience if Longo did or didn't do it. Moreover, Hill plays Finkel as someone who's trusting of the accused even though Longo is anything but convincing on that score. It's seems Finkel has undertaken this bigger story of the Longo tragedy to redeem himself in some way for sculpting the truth on the West African story published then retracted in the Times. The film leaves Finkel with egg on his face but with big bucks in his pocket for writing the memoir. I'd guess True Story (the film) will also cause him to make extra trips to the bank. Closing credits indicate that Longo remains on death row via appeals, and that he and Finkel still talk on the phone every week or so. Richard Hickock and Perry Smith didn't have it so good. They were hanged by their necks until dead in Lansing, Kansas on April 14, 1965.